If you are planning your wedding at The King and Prince, keep in mind that you have many options to enhance a wonderful weekend to remember. Arriving at the resort: Welcome your guests to the resort and St. Simons Island with a wedding gift bag! Fill up a bag or tote with items to make your guests feel more at home during the destination wedding weekend. Fill it with water, drinks, snacks, koozies, treats from the local area, maps and information as well as a schedule for the weekend. 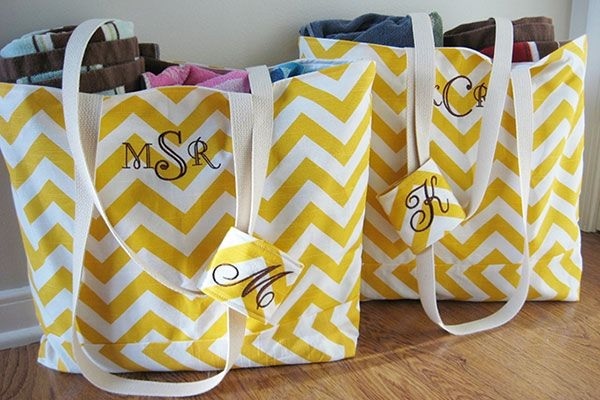 Bags can be given to guests at check-in or they can be delivered to their room prior to their arrival. Friday night welcome dinner: Plan a Friday evening welcome dinner for your guests. It will give them time to meet and spend time with each other prior to your wedding. Many guests will be hungry by the time they arrive and will not want to travel far for dinner too. We offer many options for private meals. From a three course meal in the Delegal dining room to a casual low country boil outside on the oceanfront lawn, our catering staff will work with you to bring your vision to fruition. Need ideas? Take a look at our banquet menus to see what we can do for you! Sunday farewell brunch: Have one final meal together with your friends and family as a married couple! Many of your guests may have come from far away for your special day. A farewell brunch is a great opportunity to spend some time with your guests and to thank them for being a part of your special day before they depart. Our chefs can create a breakfast buffet for your guests to drop in and grab a bite to eat before they depart. Will they be on the road for a while? We can also prepare bagged lunches for them to take for the road! If you can dream it, we will do our best to make it come true! For more information about weddings and events, visit our website. This entry was posted on Thursday, May 8th, 2014 at 3:09 pm	and is filed under Weddings. You can follow any responses to this entry through the RSS 2.0 feed. Responses are currently closed, but you can trackback from your own site.